A little explanation for suggestion on product range: 1. UpOffice - Only for tutorials on Office 2. 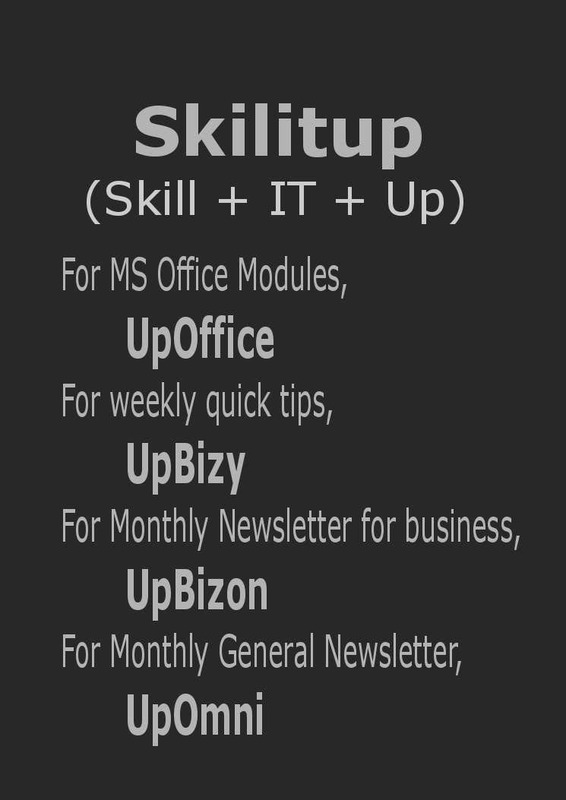 UpBizy - Quick tips on IT skills for Business for even someone who is busy with the business.3.UpBizon- Monthly tips that will help in keeping business on for long run 4.UpOmni - Omni means 'All for all'.So,it would mean all generic IT skill news for all kinds of generic PC users.Thanks!! Thank you for feedback!! Actually when I coined this name, I had 'Skillitup' in my mind.There os no company with such name yet.However, the domain for 'Skillitup' is taken.That is why I altered it to 'Skilitup' by removing one 'L'.Another advantage was it would shorten the length of name.Thank you!! Could work although I would spell Skill with the double l to avoid people spelling it wrong in emails and website searches.